We were delighted to have been asked to partner with Polar Black Events to cater for the very first Starlight Charity Ball at Blenheim Palace last month. The event was hosted by the Duke of Marlborough to celebrate his son rowing across the Atlantic earlier this year, and coming second! The charity raised over £800k on the night. Guests were kept entertained by Rory Bremner and a live acoustic performance from Anne-Marie before hitting the dance floor at the Annabel's afterparty. 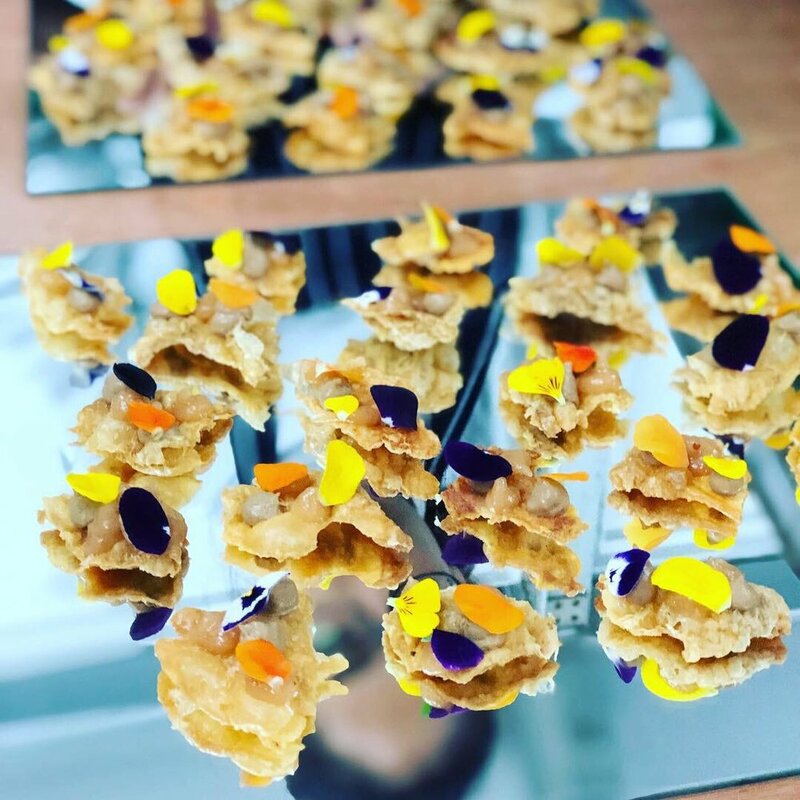 We served up delicious seasonal canapés followed by a 3 course menu of beetroot cured salmon, lamp rump and a vegan dessert of poached rhubarb and soy crumble. For those guests still feeling peckish after parting the night away, we wrapped things up with midnight snacks of delicious truffled croquet monsieur's.